Casino Golf Schools usually run from 9:00AM – 3:00PM daily. Breaking down to private instruction in the morning, covering all facet with our award winning PGA, LPGA and PGTCA golf instructors. You then get an hour lunch break. Then off to the course for a private playing lesson with your instructor. Because each our our golf school programs are so customize for each client we cannot give you a specific itinerary for each day. When you arrive at the school we ask that you fill out a self rating sheet which is a snap shot of questions about your game and goals while attending the school. We can then prepare a customized lesson plan and concentrate on any aspect that is holding you back from your golfing goals. The best hand you can get, an all inclusive first class golf school package at some of the World’s best casino golf resorts. Where you will work one on one with your own personal award winning PGA, LPGA or PGTCA Casino Golf Schools professional for 2, 3, 4, or 5 day school. 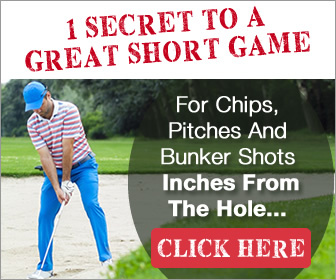 This one on one golf instructional package using V1 Video allowing you to digest the information at a pace that is best suited to your skill level. This program allows for a more custom and individual learning environment. Allowing you to improve at a faster pace and achieve your personal golfing goals. Your all inclusive golf schools package has it all from sun up to sun down. This one on one package is a golfers dream. There is no better one on one program available for your buck. We call it “Best Bang For your Buck” . The Straight Flush program offers two golfers a custom two on one all inclusive package working with one of our award winning PGA, LPGA or PGTCA Casino Golf School instructors. This two on one program is ideal for golfing buddies, couples, husbands & wives, business associates, friends, and just about any two golfers wanting the second best hand in golf school vacations. The Straight Flush program is offered for two students booking together. The Straight Flush Program has all the goodies and same comprehensive schedule as the Royal Flush Program, but for a 2 person discounted price. There is no better two on one program available for your buck. We call it “Best Bang For your Buck” . The Four of a Kind program offers a super value all inclusive golf school package for 4, giving everyone a chance to work with one of our award winning PGA, LPGA or PGTCA teaching professionals. This four-to-one all inclusive program is a must for family’s, two couples, business partners, friends, golf partners and more. It is offered for 3 or 4 students booking together—you will never be randomly paired with another student. This program features the same benefits as The Royal Flush and Straight Flush Programs. All packages are all inclusive programs being offered in 2-3-4 and 5 day packages. The Half Jackpot Program is our 3 hours 1/2 day golf school program paired with any of our all inclusive golf school packages. The Half Jackpot program is a totally custom made program to work in your schedule. You can do a 3 hour 1/2 day program for 1-2-3-4-5 days at any of our Casino Golf School locations. You can combine the 3 hour 1/2 day program with the 1:1, 2:1 or 4:1 formats. Instead of going to a 5 hour full day program, you pick three hours that work for your vacation. This program is perfect if you can’t get away for a complete 5 hour full day program. You can combine a 5 hour full day with a 3 hours 1/2 day on any of our 2 day / 2 night packages. Or maybe you want to take a 5 hour full day program followed by two 3 hour 1/2 days on a 3 Day / 3 Night package.You name the combination and we’ll make it work. Give us a call and we will customize a program that works best with your schedule. Call for rates. 800 756 5052. All Casino Golf Schools offers you the ability to improve your game in all facets. All our instructors have extended training, not only on the full swing, but also in our “Performance Zone” program. WHICH NOW COME’S STANDARD WITH ALL OUR PROGRAMS. All four of our programs offer extended golf instruction on all the critical shots from inside 60 yards. Our “Performance Zone” short game program has been developed by PGA Tour Coach Mitchell Crum and some of our best PGA, LPGA and PGTCA professionals specializing in “Performance Zone” instruction. They have been taught by or worked with some of the best teacher’s in short game instruction including Harvey Penick, Chuck Cook, Fred Griffin, Mike Adams, Phil Rodgers.